Petone is a bit more of a hike to get to, but it offers some pretty cool cafes and restaurants. It is really nice to break that inner city bubble every now and then. 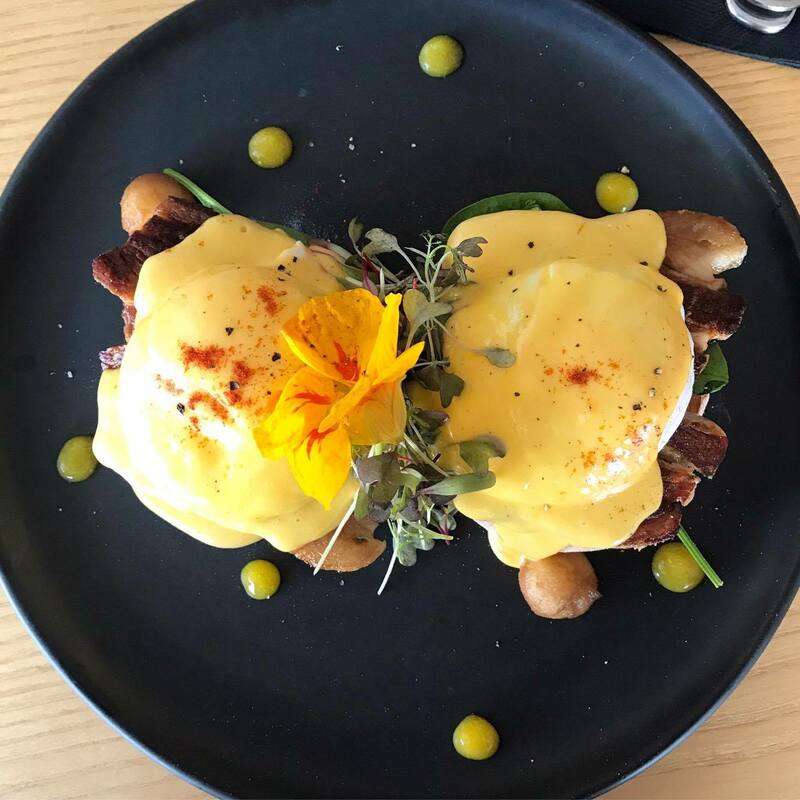 Tie in eating in Petone with a trip to the Dowse, Lighthouse Cinema or Butterfly Creek and it is a trip well worth making. Also, Zany Zeus is in Lower Hutt and they have a shop full of yummy cheeses and other dairy products (their haloumi is the best!). It also has a café, but I always just opt for a gelato. I had been seeing photos of the food on my Instagram for literally months before I made it out to Comes and Goes. Table waits are common, but a good sign of what’s to come. 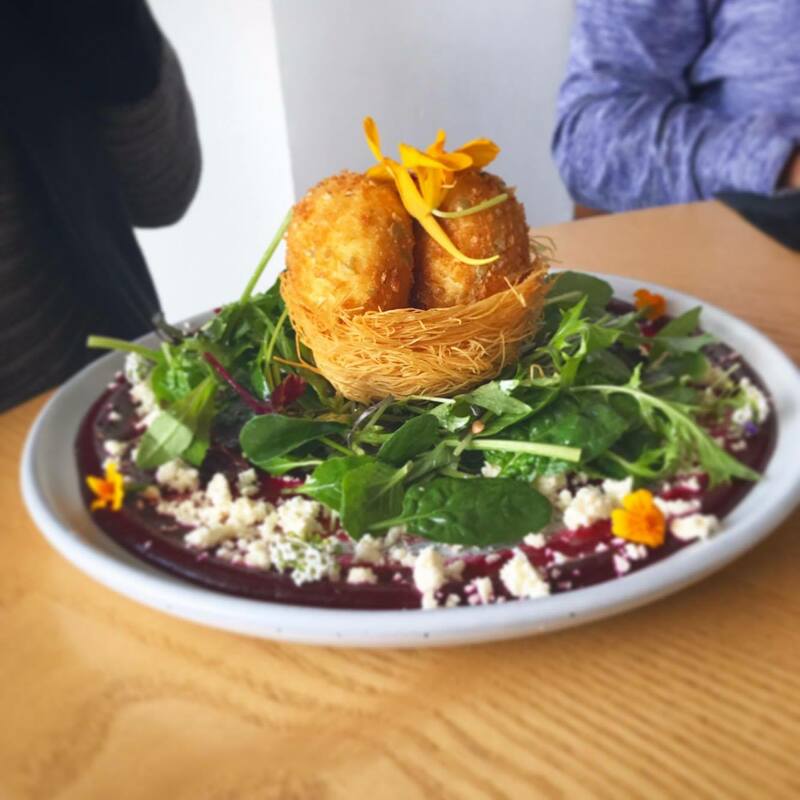 ‘The Nest’ is probably their most photographed dish, for the reason that it is so incredibly unique and quaint, and we just had to order two of those for trying. I ordered the pork belly benedict, and we also got the waffles and chia seed pudding. Everything was so beautifully presented it felt like a work of art, and then it actually tasted almost as good as it looked. Portion sizes were generous and there were loads of vegan and vegetarian options. Nailed it! Yum, yum, yum, La Bella Italia has the goods! People had told me that it was a good place to visit out in Petone and I would have gone sooner had I realised how awesome this place would be. It is like a big Italian warehouse, with so much happening and so much to look at, all at once! 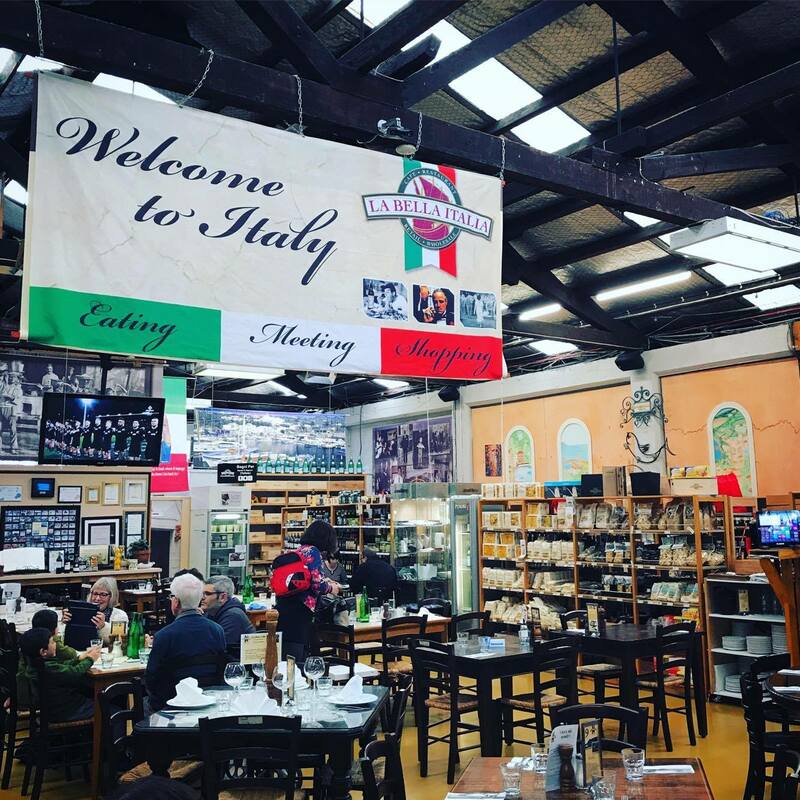 The walls are thoroughly decorated with all things Italian and the warehouse is full of different areas – pizzeria, coffee, deli, dessert cabinet. There is even a wee supermarket. The menu is authentic (there are plenty of Italian words used throughout!) and not too badly priced. Both the (award-winning) pizza and the pasta dishes are of decent portion sizes, and of course there is gelato available too. If sister café Maranui was anything to go by, I was expecting big things from Seashore Cabaret. The cafe is located upstairs and has a funky, hipster, seaside vibe. The views are epic; I’d love to be there on a day where it was actually warm enough to open all of the full-length windows. Unlike Maranui it feels really spacious and light. The food is similar though: think American diner cross seafood cross Mexican twist. Between us we ordered a range from the cabinet and off the main menu (which is more limited than Maranui’s, but no less delicious) and I wish we’d had room for more. 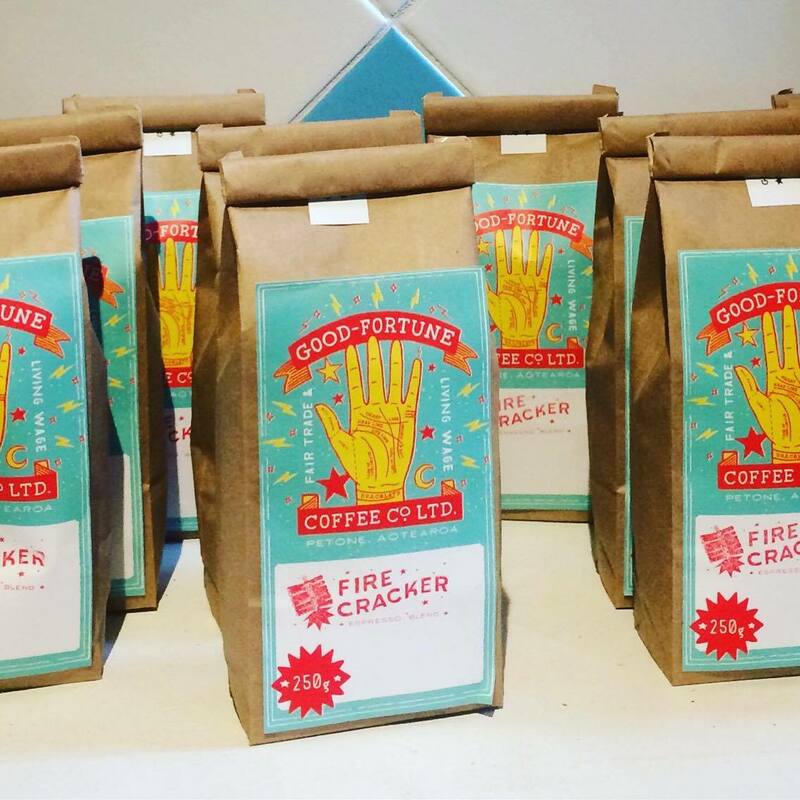 The coffee is good enough to rival the thickshakes (served vintage style in metal cups with straws) with an added bonus being that it is made on site at its very own coffee roastery, Good Fortune Coffee. Next Post A table for two: date night please!